Pathway works with hospitals across the country, helping them to develop homeless health teams. 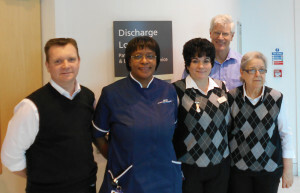 The Pathway team at UCLH began work in October 2009. 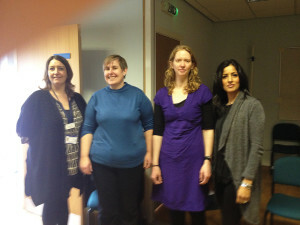 This was the first Pathway team, set up following a detailed needs assessment. Initial funding came from short-term CCG grants, followed by Health Foundation funding. Pathway funds a care navigator supervisor, one full time care navigator and two apprentice care navigators. Care navigators are people with lived experience of homelessness who provide individual care and support for homeless patients. In 2017 the team supported over 500 admissions each year. Bevan Healthcare CIC is a social enterprise providing primary health care for the most vulnerable groups in society, including homeless people, asylum seekers and refugees in Bradford. 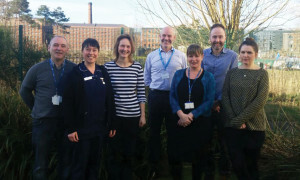 In November 2013 Pathway established the Bradford Bevan Pathway Team with 2 years funding from the DH Innovation, Excellence and Strategic Development Fund. The team consists of a full time nurse, a senior support worker and 3 GP sessions. 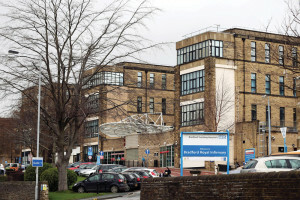 Separate funding from the DH Hospital Discharge Fund has provided 14 step down beds in the Bradford Respite and Intermediate Care and Support Service (BRICSS), which has been an invaluable addition to the service. 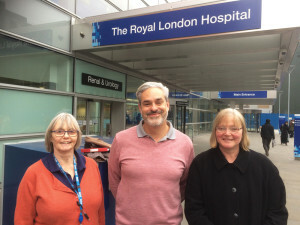 The Royal London Pathway Team was launched in December 2011 the first site of the 2 centre randomised controlled trial of the Pathway approach, funded by the National Institute for Health Research. The trial ended in June 2013 and the service continued with short term funding from Barts Health and Pathway. From September 2014 the service has been funded by Tower Hamlets CCG and provided by Health E1-Homeless Medical Centre, a specialist primary health care service for homeless people, managed by East London NHS Foundation Trust. Funding beyond March 2015 is subject to the commissioning cycle. The service currently has funding for 4 GP sessions, 2 full time nurses and a part time administrator. Barts Health currently fund a social worker post seconded into the team and the London Borough of Tower Hamlets Housing Department commission a “Routes to Roots” service from Providence Row (based at the Dellow Day Centre) comprised of 2 housing workers who can support the team with rough sleepers and insecurely housed people without a local connection to Tower Hamlets. For homeless patients with a local connection to Tower Hamlets the team is supported by Tower Hamlets Floating Support (Look Ahead) and THSORT rough sleeper outreach (ThamesReach). The team deals with around 900 admissions of homeless patients a year. The results of the randomised controlled trial are yet to be published, but are expected to show an improvement in health outcomes for homeless patients receiving Pathway care. 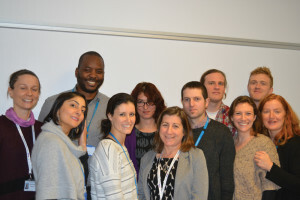 The Brighton Pathway Team was the second site of the 2 centre randomised controlled trial of the Pathway approach. The trial ran for 12 months from June 2012. Since then short term funding by the Hospital Trust has been taken over by the local CCG, and the service is in the commissioning cycle for funding beyond March 2015. The service consists of 4 GP sessions and one full time nurse practitioner. The service has provided the impetus for other successful funding bids locally and is now supported by 3 ‘Pathway Plus’ support workers who provide advocacy and support for homeless patients or those placed in temporary accommodation after they have been discharged. The team also works closely with a hospital to hostels discharge team, and a multidisciplinary hostels nursing team, funded by the CCG. In the latest quarterly report Pathway/Pathway Plus helped 102 people at the hospital and working with Pathway Plus reduced A+E attendance from 195 to 68 comparing attendances for the 2 months before and 2 months after Pathway Plus engagement. King’s Health Partners is an academic health sciences centre which brings together 3 NHS Foundation Trusts with King’s College London University. The KHP Pathway team was planned and set up following a needs assessment funded by Guy’s and St Thomas’ Charity and carried out by Pathway in 2012. The service was launched in January 2014 with core funding from Lambeth and Southwark CCG’s and benefiting from housing workers funded by the DH Hospital Discharge Fund. For the first year the team covered Guy’s and St Thomas’ and King’s College hospitals, and has now been fully commissioned by the local CCGs including the housing workers. From February 2015 the service was extended to the Lambeth and Southwark sites of South London and Maudsley (SLAM) Mental Health Trust, funded by money provided by Guy’s and St Thomas’ SLAM Charities for a 3 year pilot. The project is later planned to extend across the whole of SLAM. 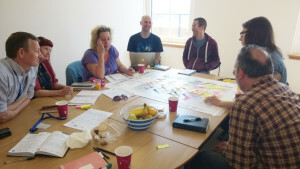 The clinical team consists of two GP’s providing 11 sessions, two general nurses, one social worker, an occupational therapist, two mental health practitioners, 4.5 housing workers seconded from St Mungo’s Broadway, the Passage and St Giles Trust, and Peer Advocate support provided by Groundswell. In 2014 the team received 1603 referrals from 1414 patients. 54.5% of patients were no fixed abode on referral, and 69.7% of these improved their housing status on referral. Analysis from the first 6 months showed a 24% reduction in bed days. There have been a number of significant successes in terms of complex case resolution. The Urban Village Medical Practice offers a comprehensive primary care service for 8,500 patients in the inner City, including 700 homeless patients. They set up the mpath service in June 2013 with funding from Central CCG to improve patient experience and health outcomes for homeless people by working across primary and secondary health care boundaries. The service works with homeless people admitted to Manchester Royal Infirmary (MRI) and who frequently attended A&E. The service consists of one (whole time equivalent) GP, a nurse, a service manager, two case managers, and a housing worker. During the first six months of Better Care funding the service worked with 216 of the 272 (79%) homeless people admitted to the MRI, achieving 43% fewer A&E attendances (down from 1089 to 618); 39% fewer non-elective admissions (down from 409 to 249); a 66% reduction in bed days (down from 3647 to 1211); and 39% fewer repeat admissions within 28 days (down from 409 to 248). In 2016 the service audited the needs of homeless patients in the area, producing a comprehensive analysis with a series of recommendations for future services. The audit can be downloaded here. This team is called Homeless Accommodation Leeds Pathway (HALP) and is a collaboration between Leeds Community Healthcare Trust who run the York Street Primary Health Care Service for homeless people, and St George’s Crypt who provide emergency accommodation. The team was launched in September 2013 initially funded by the DH Hospital Discharge Fund. The team includes a GP for 5 sessions, a full time nurse, and two care navigators. There are two dedicated beds at St George’s Crypt for patients leaving hospital, and in addition St George’s Crypt frequently allow use of the ‘compassionate bed’. The team uses tablet based computerised System One records in the hospital, the surgery and the Crypt. A pilot team operated within the Royal Free for 9 months from autumn 2012. The team was funded with an investment from the hospital’s QUIP programme. Prior to launch the Royal Free worked with Pathway to complete a needs assessment of homeless health in the hospital. The Trust ultimately decided not to fund the team on a permanent basis. Homeless people attend A&E six times as often…are admitted four times as often and stay three times as long -because they are three times as sick.